**135-Our City’s- 651- people died in WW2 Blitz. Their names are not on public view. An offer to install a set of glass panels in the Art Gallery containing the names of the individuals who were killed by the German Blitz bombing was not acceptable to City officers; City councillors did not respond to the proposal. ( now withdrawn). NB. 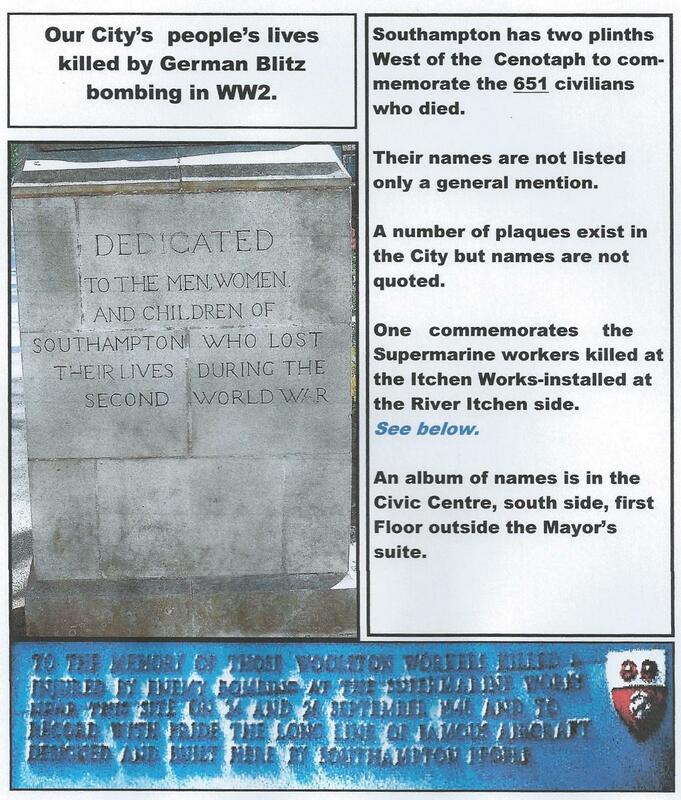 A new’s report recently reported that Portsmouth City are in the process of installing a similar commemoration feature for their people who died in similar conditions in WW2.